As large number of professionals are using social media networks to build relationships, link new contacts, and sell themselves professionally and also for their businesses, it is now very important and urgent for us to know how to use the social media for our own marketing campaigns. One of the best answers is LinkedIn, a social network made for professionals looking to promote themselves as well as their companies. If you follow minutely you will find that LinkedIn tenders very interesting and amazing opportunity to create new leads. LinkedIn has ample tools for you to connect with customers, leads, and industry. Joining LinkedIn is easy, but converting it into a influential networking tool needs a bit of know-how. Linkedin has made a name for itself in today’s social media space and does have links which are very SEO-friendly: it is uniquely linked to Google, enabling you to create exclusive anchor texts for several links. After that follow the LinkedIn wizard and input the basic facts about your organisation or company. Add as much as details as possible like your company strength, geographical location, client feedbacks and other related information pertaining to the company. Make your company portfolio more visible by adding keywords relating to its chronicle. 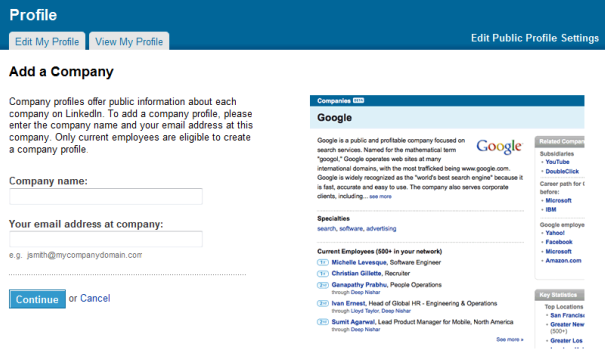 LinkedIn also performs analysis about your company and also the connections which your employees have on LinkedIn network. For example, it will automatically calculate your employees’ median age, top schools, and determine other companies that they are well-connected to. These all data about your company gives promising partners, customers, and anyone else who might be interested in your company. Make it a mandatory point to edit or update your company’s basic portfolio information as necessary to keep it updated. Use the very same methods to publicize or promote your company’s profile in the very same manner as you do for your personal profile. On LinkedIn, make it a point for people to participate in discussions and ask questions relating to your company. In other places, post your company profile or the URL on your Web site, your business card, your blog, and in your e-mail signature, etc. Whenever you are looking for someone over LinkedIn, be very precise and categorical about the people you want to reach. If you really want to showcase your presence and visibility, start approaching to media persons who generally cover your industry. Choose a name of relevance – The name should contain keywords so it can be easily found by people who are interested in your industry. Add a logo – As your picture is important for your personal profile in the very same way a logo is also of immense importance. 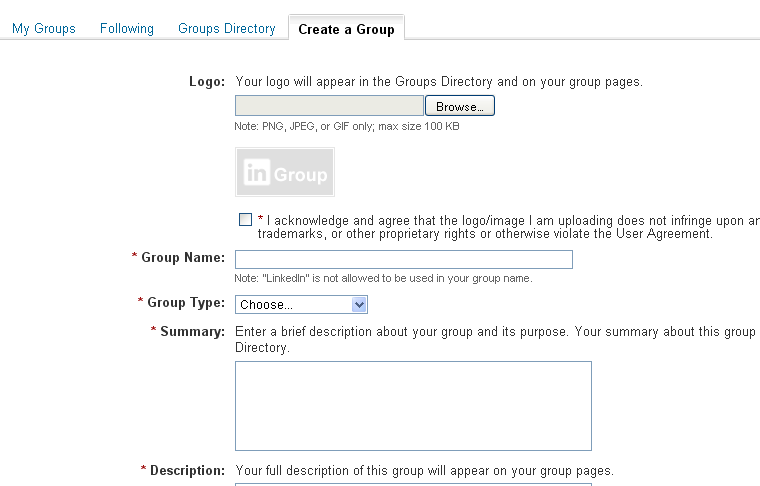 Use the available option to display your group in the Group Directory and on member’s profile. Just creating a group won’t be of any help to you — you have to manage and promote it. To get members, you have to promote your group — just start by asking your connections who could be fascinated in your industry, but be careful not to limit the group only to your connections. Add the logo to your blog or website and link it to the group. Promote your group on various other social networking places.